Flying REIMAGINED! – WHERE'S BRENT BEEN? You know my favourite airline is Etihad… it has been for sometime, ever since my first experience in their premium First Class service Sydney – London in 2011. The experience then was one of refined luxury – think martinis in proper martini glasses (yes I threw a few back!) and an onboard chef to step me through the extensive gourmet fare served on board. When I slipped those doors shut of my exclusive suite and bedded down, I could have been the only passenger onboard that 777-ER. It’s as close to heaven as I ever could have imagined. 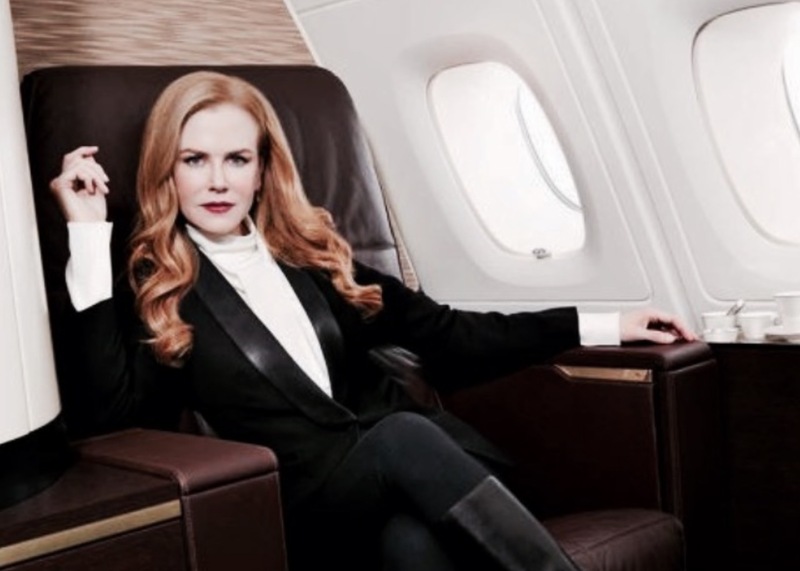 Well now Etihad have done it again – it’s flying reimagined indeed – along with the new premium products including the exclusive Residence, First Apartment, First Suite and Business Studio they now have the elegant Nicole Kidman as brand ambassador for their latest global advertising campaign. The commercial was shot on board their new flagship Airbus A380 and in three locations around the world: Abu Dhabi, Marseilles and Prague. In their hub of Abu Dhabi, the three buildings featured are Bab Al Bahr Towers, the Louvre and the Abu Dhabi International Airport Control Tower. These buildings are amongst those that inspired the design of their new livery and they all feature traditional Emirati design patterns, influenced by light and geometric patterns. The Foster & Partners Vieux Port Pavilion in Marseilles was chosen to reflect the airline’s focus on design. The 17th century baroque hall of the historic Strahov Library in Prague represents knowledge, learning and the desire to innovate and lead. Contact me today to book your next flight to Europe with the very fabulous Etihad Airlines – I just happen to have the best fares around! Next Packing Chronicles – The LV KEEPALL!